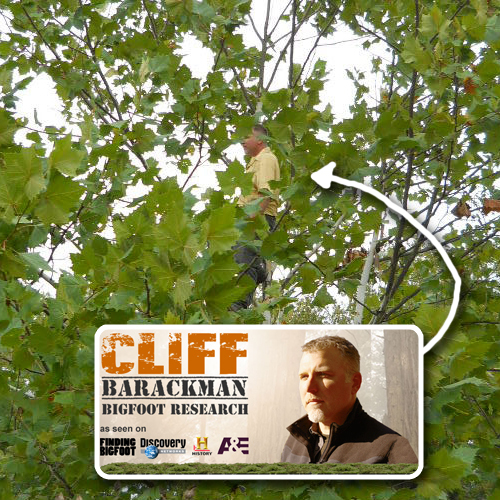 Just like in Season One of Finding Bigfoot, Cliff Barackman continues to publish his field notes after the airing of each new episode. These commentaries offer greater detail and information that can never be encapsulated within a one-hour TV show. Read the commentary for last night's NY Baby Bigfoot Episode. You might want to subscribe Cliff's Official Blog: North American Bigfoot and even become a fan of his Official North American Bigfoot Facebook Page. I grew up in those woods. To jump to the conclusion that every noise you hear "MUST" be Bigfoot is deluded. As well as deer, the NE's forests are home to bears, coyotes, stray dogs, beavers, and--of course--a large number of humans. I forgot woodpeckers--not nocturnal, but surprisingly loud! Bigfoot is the cash cow or primate. I keep wondering if the most likely locu for these may be S. Amer. IOW, the breeding pop. so often cited as a necessity by biologists. There are relatively few reports of large primates from there, but a very few of 5-foot tail-less ones. Deep jungles with caves would be a harder search, but all this cold mountain climbing after what may be mis-identified bears seems always a totally wasted effort. IF they exist, they DO require a breeding pop., and S. Amer. would be awfully tempting to a primate or a hominid. We're likely seeing only isolated, dominant males after salmon way up there. And, if they're hominids,say, rather than primates, that's a pretty tough needle in a haystack. A larger and more vulnerable pop. might be in S. Amer.